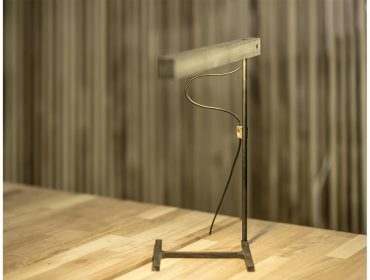 Desktop lamp. 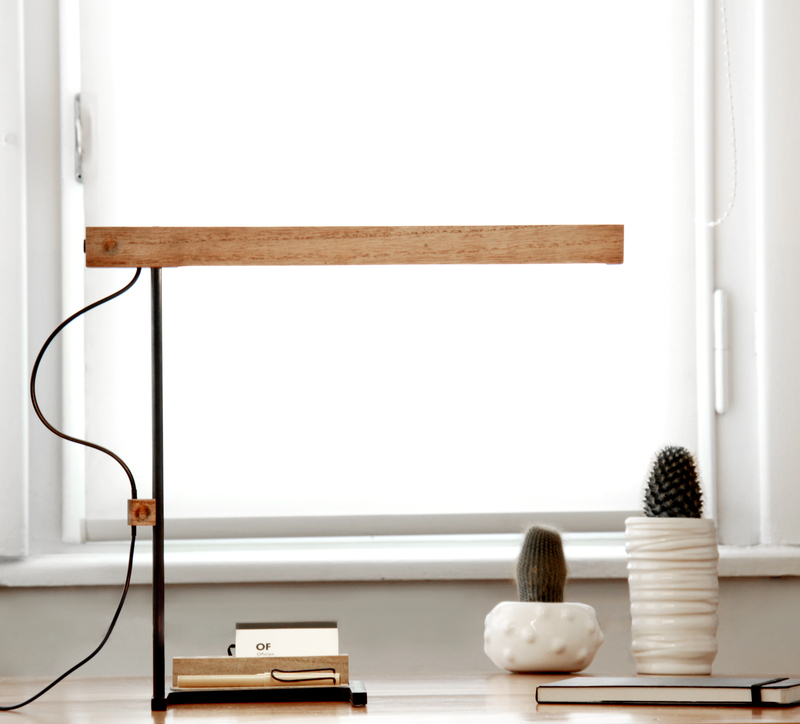 Built-in LED light. 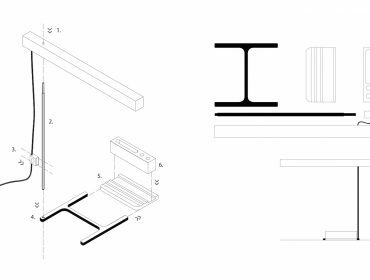 Parts assembled by joints. 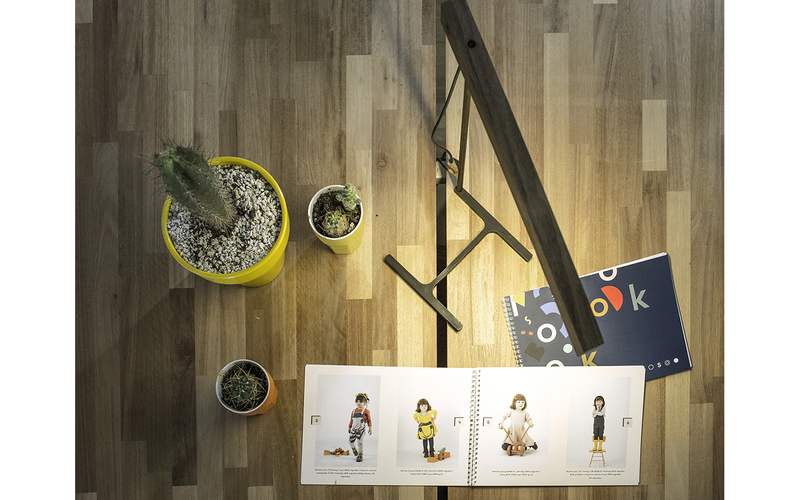 With desk accessory. 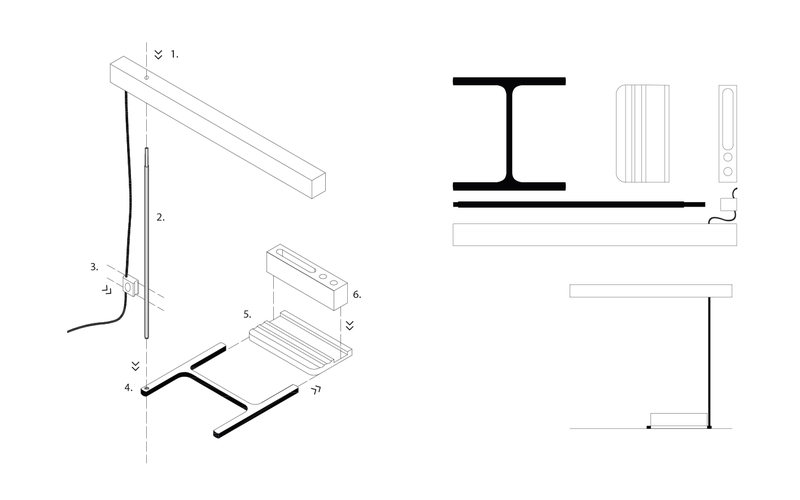 Materials: Base made of an HEB beam section. 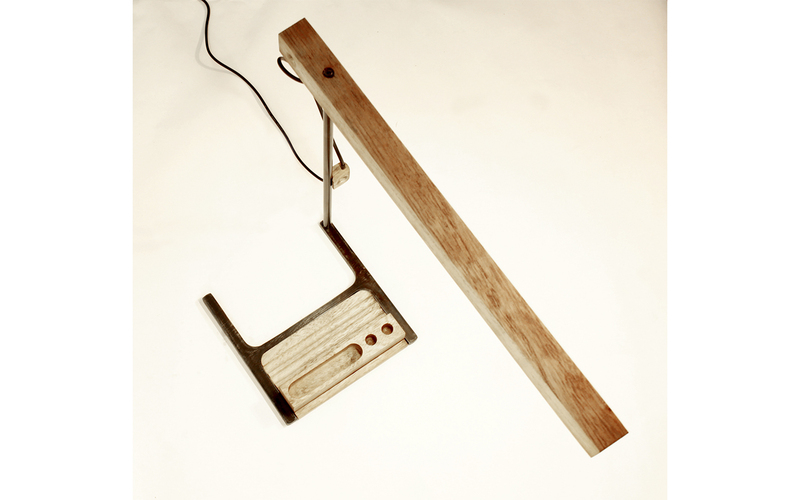 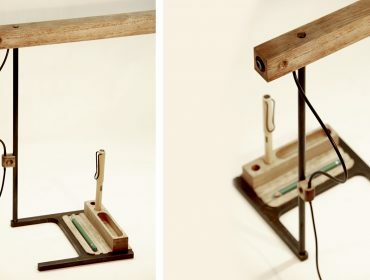 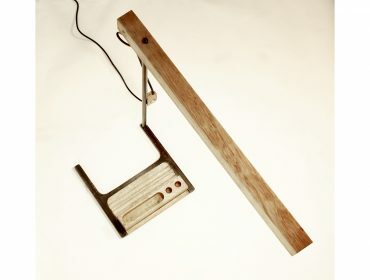 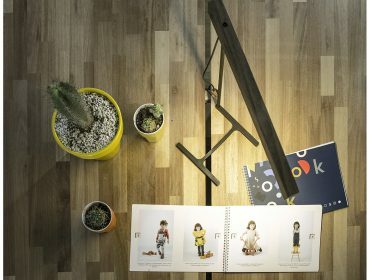 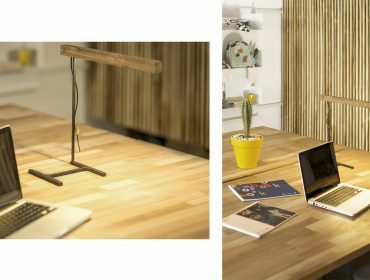 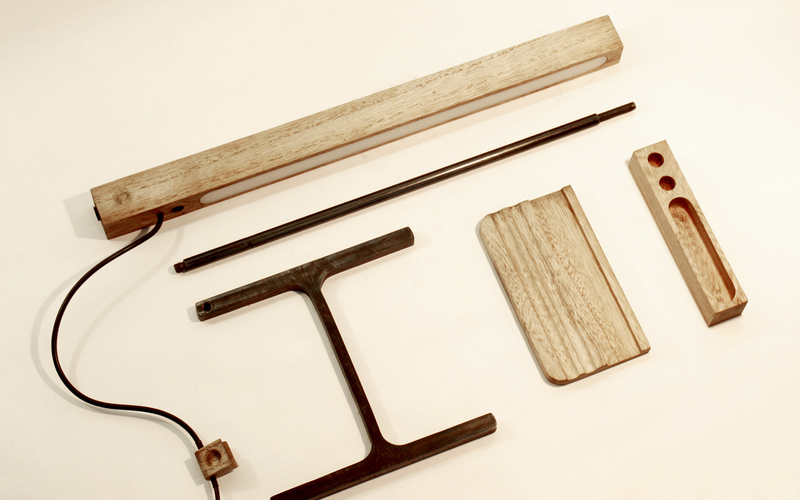 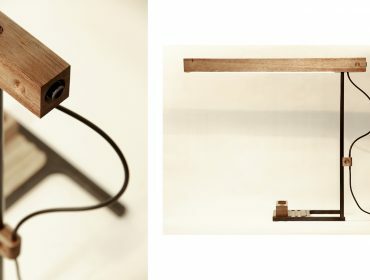 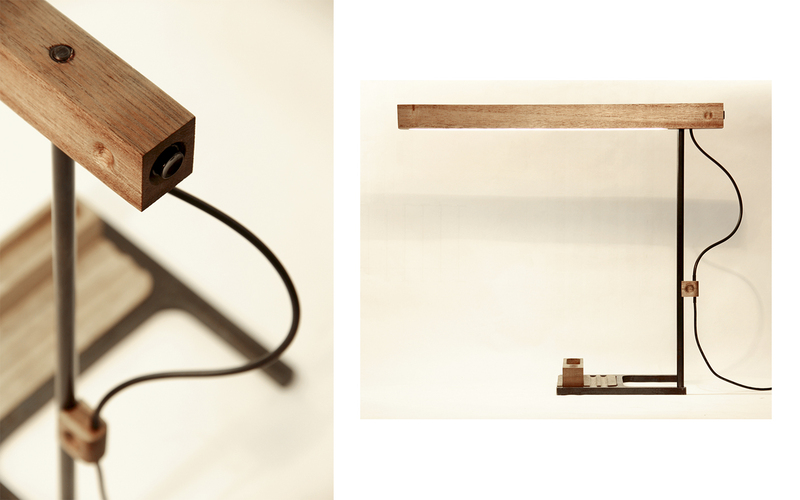 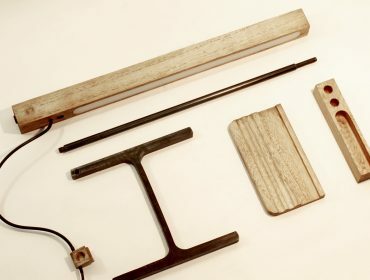 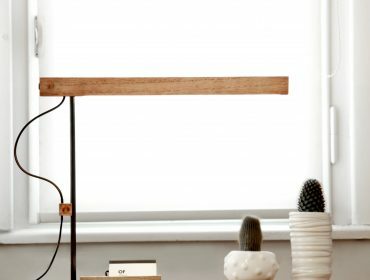 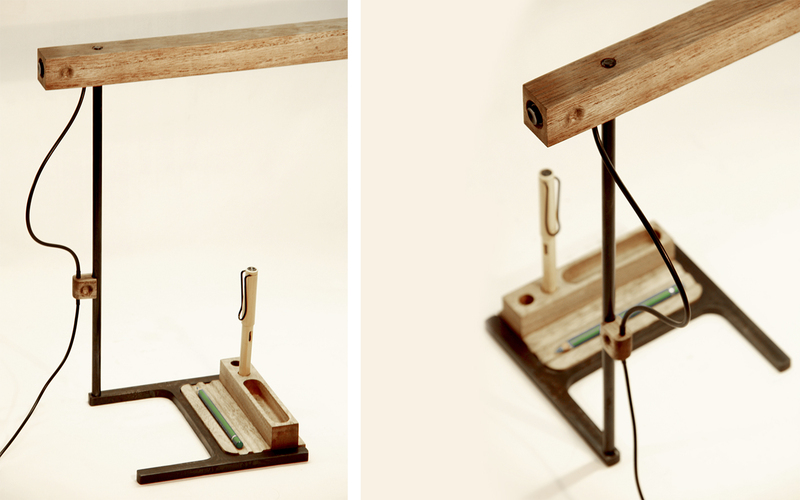 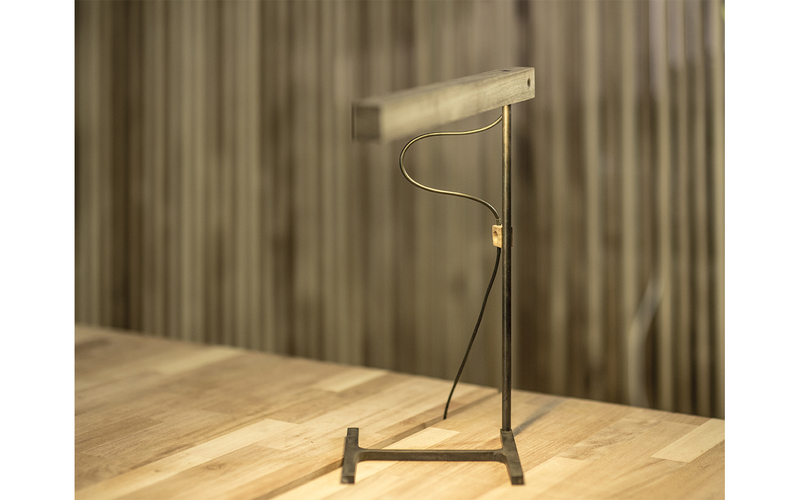 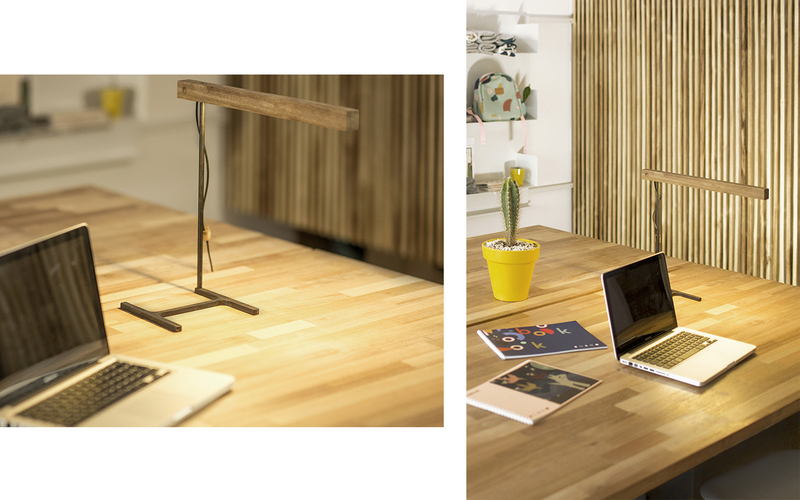 Lamp housing and desk accessories made of solid kiri wood.